The Project Fi app for Android has been updated with a new but important diagnostics tool for the Fi team. 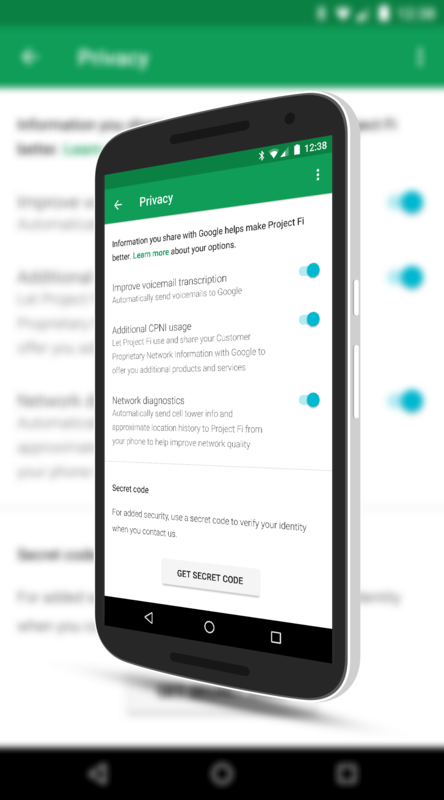 When you update the app and go to the Privacy settings, you will note a new Network Diagnostics toggle which will send information about your cell tower connectivity and location to Google. The idea is for Google to collect information so they can improve the service and network quality. The reason the Fi team put this new feature in Privacy is somewhat self explanatory in that description. You are sending your cell tower connection and approximate location to that tower to Google. If you don’t want that “tracking” to happen then you can turn it off. To be fair though, carriers have had this type of function for a long time for a wide range of reasons. Google is being a bit more transparent about it. Obviously this new feature is dependent upon you having Location services enabled on your Nexus device too. Again, you don’t have to turn this on but doing so will help Fi figure out where weak spots in the network are located and can make improvements.